The global animal production market is being challenged by the continuous climatic variations impacting crop management and grain harvests. This directly translates into rising raw material price volatility and quality variability. Indeed, wheat and corn prices are expected to keep increasing until the end of the year, a result of drought and trade issues (source: Rabobank Poultry Quarterly report Q4 2018). Cost of feed will mathematically be impacted. To limit margin erosions, it is key to define the right strategies which will help maintaining a high level of profitability during these episodes. The use of enzymes in feed is part of a company strategy to decrease feed costs. Classic carbohydrases have historically been used to decrease the cost of Energy in feed. Today, with new generation enzymes acting as feedases, digestibility improvements are seen on several parameters. For example, a multicarbohydrase complex, containing xylanases, beta-glucanases and arabinofuranosidases, has the potential to increase not only the apparent metabolizable energy (AME) of feed, but also the digestibility of amino acids (dAA). With a first generation feedase like this, diets can be reformulated by in average -3% of AME and -3% dAA (based on the vegetal feed ingredients). Compared to a classic carbohydrase which would provide for instance a 2% AME uplift, the savings achieved with a first generation feedase are significantly higher. With a second generation feedase based on the combination of a multicarbohydrase complex and a superdosed new generation phytase, the benefits are even higher. Depending on the undigestible fraction of the feed, the addition of a second generation feedase in feed can increase AME and dAA by in average 5%, Av. P by 0.18%u and Ca by 0.16%u. 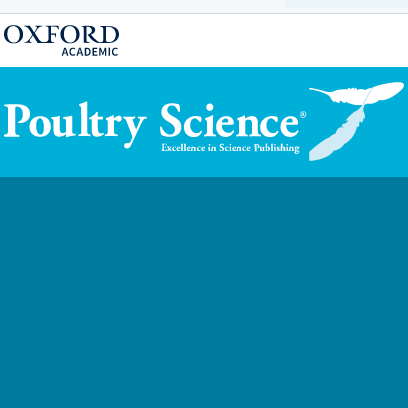 Climate change unavoidably increases the variability of feed ingredients’ quality. Dealing with this variability is crucial to support animals’ requirements and reach the best performances while considering feed costs. Precise information on the nutrient contents of feed ingredients facilitates the design of cost-effective feeds. Near Infrared Reflectance (NIR) is an efficient tool in that purpose, as it allows predicting raw material nutrient content in real-time. PNE predictions (for Apparent Metabolizable energy and Digestible Amino Acids) are based on in vivo measurements that allow for an accurate determination of the variability of the feed ingredients. Moreover, such a tool can be used to follow the variability over time, locations, and supplies, thereby helping to make the right decisions in choosing the best options for optimized feed formulations. 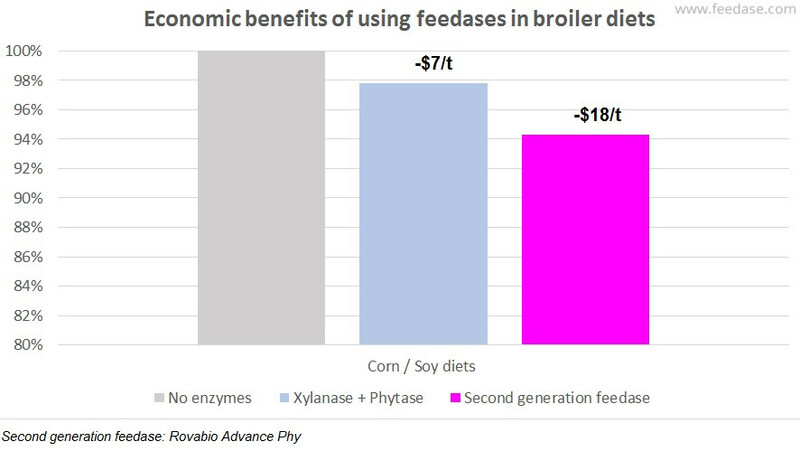 In corn-soy-wheat diets containing 6% of sunflower meal, a second generation feedase (Rovabio® Advance Phy) could allow saving up to 27€/t of feed without any impact on animal performance.